Safety, Security, & Insurance Discounts — What More Could You Ask For? At , we have our own in-house residential window and door design professionals ready to meet with you! Our company listens carefully to our customers and plans and designs your project every step of the way. Take advantage of our VIP Service! We are happy to obtain all of the required building permits for you! We take your project from start to completion quickly. That is why we are the leaders in the South Florida window and door industry! High Rise window frames are available in anodized white or bronze. Custom colors are also available at an additional charge. In addition, we carry all types of glass colors such as clear, grey, bronze, green, azure blue, and solar cool. All are available in low E and insulated glass. is fully licensed and insured. We are your one-stop-shop for quality window and door sales, service and installation. 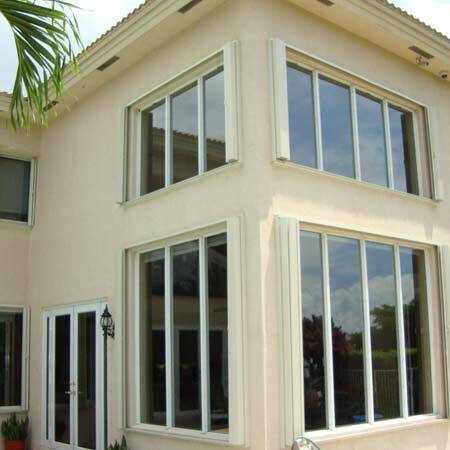 Call us at 954-714-6800 or contact us online now for an in-depth consultation on your window or door project.